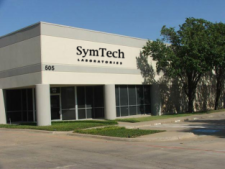 SymTech Laboratories, LLC is an industry leading engineering design and manufacturing company. We specialize in customized solutions for the automotive, industrial, research, and consumer markets. We are also MegaSquirt engine management system (EMS) experts We are a top supplier of MegaSquirt systems and related accessories, including wiring harnesses, sensors, connectors, EGT measurement components, and Innovate Motosports wideband oxygen sensor systems. We routinely provide upgrade and repair services for MegaSquirt EMS users. In addition to our MegaSquirt EMS selection, we offer popular lines of automotive performance electronics, including oxygen sensor simulators and fuel cut defenders. We are a "one-stop shop" for all of your engine management needs. We try to regularly stock as many products as possible, but if you do not see something you need, just ask; we will update our catalog or place a special order through one of our many suppliers. Our assembled MegaSquirt EMS units are always customized for your specific application. Instead of selling generic hardware, we take out all of the guesswork, so you never have to cut, crimp, solder, or otherwise modify the hardware inside your SymTech Laboratories MegaSquirt unit. We have customized MegaSquirt systems for everything from 25cc one-cylinder Eco-marathon competitors to 27L twelve-cylinder tractors. We are the leading supplier of MegaSquirt systems to the Neon, SRT-4, and 420A Eclipse/Talon and Avenger markets. We are also one of the foremost suppliers to the Mitsubishi (4G63 and 6G72), Mazda, Subaru, Toyota, Nissan, Honda, BMW, GM, and Ford markets. We can install any upgrade, making our professionally assembled MegaSquirt units perfectly tailored to your needs, but at a fraction of the cost of comparable EMS's. SymTech Laboratories was founded in 2004 to develop and manufacture electronics for the automotive performance industry. Our founder and current principal transformed a hobby into a business after developing a number of popular low-cost performance electronics. Shortly thereafter, we began assembling MegaSquirt engine control units, and quickly became the predominant supplier to many markets due to our reputation for quality. In 2007, after realizing the versatility of MegaSquirt EMS and the growing market for it, we expanded our automotive electronics division to what it is today. We promise to always be helpful and act in our customers' best interests, even if it does not directly lead to a sale. If you're unhappy, we promise to listen to you and do our best to resolve the problem in a timely manner. We promise to treat you with uncompromising respect, integrity, and professionalism.